Join LGBTQIA colleagues from the Medical, Dental, and Sackler schools on Wednesday 12/12 at noon in Sackler 114W for free dumplings and to learn about this year’s upcoming events! 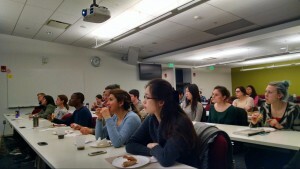 The Tufts Biomedical Business Club (TBBC) is a student run organization whose mission is to cultivate business leaders in the health and life sciences. TBBC is a growing community of graduate, medical, dental and nutrition students, postdocs, physicians, scientists and alumni. It provides members with opportunities to learn about consulting, business development, entrepreneurship, intellectual property and more. 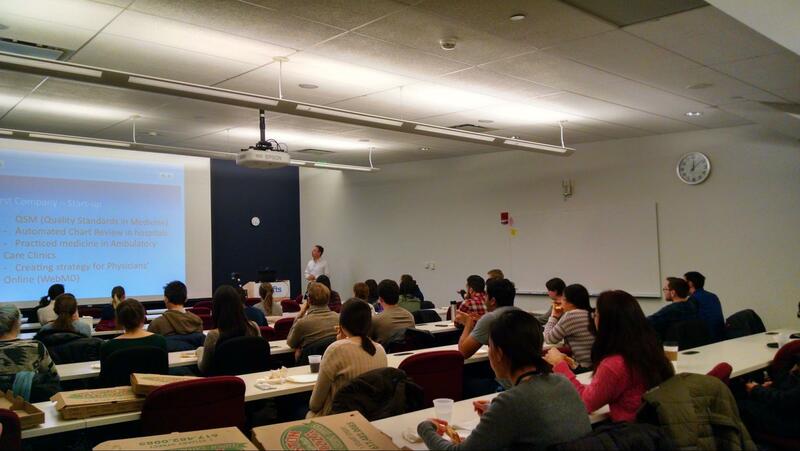 We engage our members though a number of initiatives including a seminar series, Biotech Journal Club, Consulting Case Study Group, panel discussions, Biotech BUZZ and most recently the Biomedical Data Science Club. E-mail tuftsbiotech@gmail.com for more information. TBBC Seminar Series: Seismic – W Sep 21: The founders of Scismic, a tool aimed at helping researchers to find their optimal work environment/mentor, met with students and postdocs for feedback on the company’s product and business model. TBBC Tufts Advisory Partners – After a successful first engagement last year, TAP’s second engagement is now well under way. 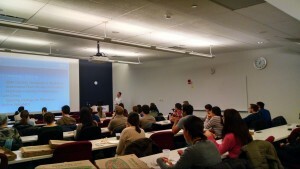 The Tufts Biomedical Data Science Club will be a resource for students wishing to learn and apply programming techniques in order to tackle big data problems in the biomedical sciences. No programming experience required! The club will host bi-monthly meetings, work on group projects, and provide opportunities to hear invited speakers and network with others interested in big data. Please email Matt Kelley at matt.kelley@tufts.edu with any questions. Picked by Future of Biopharma as one of 5 women to watch in Boston, Hannah Mamuszka is the founder and CEO of Alva10- a company specializing in precision medicine. Hannah will be joining us for an informal conversation about the latest news in biotech, her career, and Alva10. A panel of senior graduate students will provide insight about steps that newer students can take to prepare themselves for a variety of career paths, including: academic/industry science, teaching, entrepreneurship, science communication, policy, data science, venture capital, and consulting. Dr. Bill Greenberg leveraged his undergraduate education in computer engineering at Tufts to become a pioneer in the proliferation of technology into clinical practice, contributing to the NIH’s Computers in Medicine initiative, co-founding Physicians Online (now known as WebMD) and advising a number of high-profile start-ups. His insights into the history of technological advancements highlighted just how rapidly the clinical landscape is changing – the cloud, automation and increased computational power are fundamentally altering the roles and capacities of physicians and the healthcare industry. The biotechnology sector is further driving this change with advances in personalized medicine (Human Longevity Incorporated), diagnostic efficiency (DermaCompare) and pharmaceutical sales (SmartRx).